Charlotte Whitehead is a career consultant who offers a strengths-based approach to personal and professional development. She works mostly with people who are at a transition point in their work or life. - Career counselling, guidance, and coaching for early, mid- and late career professionals. - Career guidance and strengths development for PhD researchers, postdocs and academics. - Strengths development for new managers and leaders. - Strengths coaching for personal and professional development. - Finding something to do that feels meaningful - uncovering a sense of purpose and direction. - Deciding whether to become self-employed or set up a business. - Returning to work after a break. - Choosing between career options after school or university. - Considering what to do in retirement. A range of tools and exercises is available that can help you work out what to do next. The first step is to discuss with Charlotte where you’re at and find out what the options are. Please feel free to contact Charlotte for an initial (free) discussion so that she can advise on what might be best for you. Charlotte is a Gallup Certified Strengths Coach (2016) and Business Builder Profile (BP10) coach (2016). She is also an Accredited User of the Morrisby Guidance Service (2016). She is qualified to administer psychometric ability and aptitude tests and holds the Test User Certificate in Occupational and Ability Testing (British Psychological Association, 2016). In 2017, she completed her Postgraduate Diploma in Careers Education, Information and Guidance through the University of Warwick. Charlotte is a member of the UK’s Career Development Institute. She abides by the CDI’s Code of Ethics and maintains her professional knowledge in accordance with the CPD guidelines laid down by the Careers Profession Alliance. She is listed on the UK Register of Career Development Professionals (membership number: 00563609). 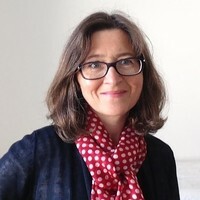 Charlotte holds a Masters Degree in Education (Open University, 2002) and a BA Degree in Paper Conservation (Camberwell College of Arts, University of the Arts, London, 1993). She has sixteen and a half years’ experience working in the UK’s higher education sector in a range of roles, latterly specialising in training and development for PhD and postdoctoral researchers. Prior to working in higher education, Charlotte trained as a paper conservator and worked in public sector institutions and private practices in the UK, Australia, the USA and Malaysia.